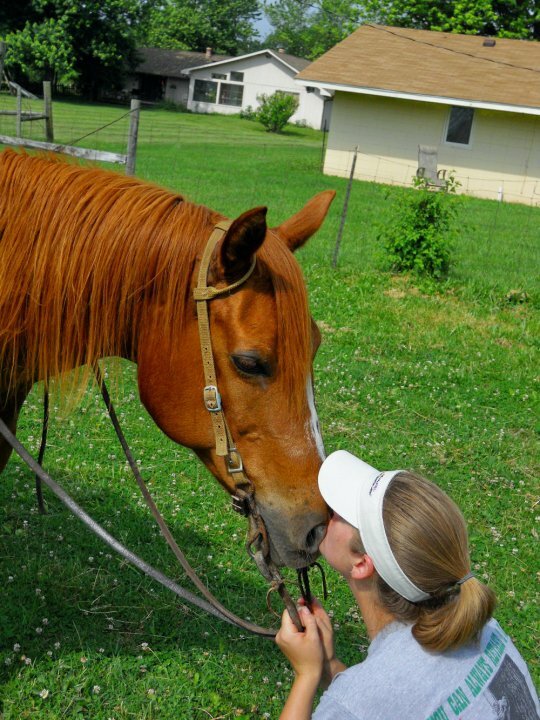 I’ll the first to admit that if it weren’t for my mother, I probably wouldn’t be a horsewoman. I also wouldn’t be into dog agility if it weren’t for my father and mother, and my mother’s mother… So many things that we get into are because of the generations before us. Which is why it was fun highlighting three different families where the grandparents have passed on their love of the American Quarter Horse to their grandchildren. 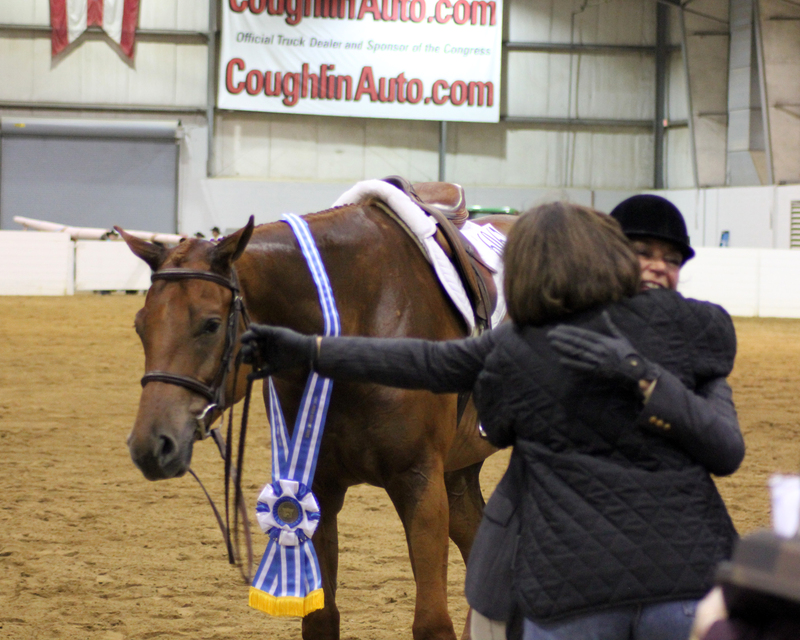 Families like the Cochranes, where Ken and Sandy (who are active within the AQHA) enjoy watching their two granddaughters show, especially Victoria, who has thrived despite her neurologic disorder thanks to riding and showing. CeCe Campbell and her granddaughter, Tailyr, share a horse and take on the hunt seat world. And then Vern and Rita Habighorts and their granddaughters Monica and Kaylee Hamm take on the halter world as a team. 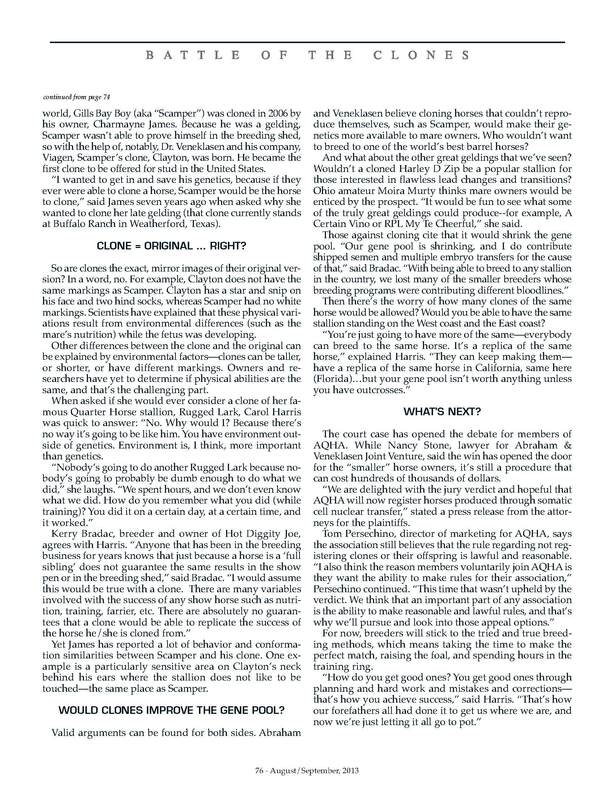 I invite you to learn more about how these families have worked to continue their love of horses, and the American Quarter Horse in the the August 2016 issue of the American Quarter Horse Journal. Think of it as insurance for your horse’s most valuable player when it comes to his performance. More than 1,000 pounds of pressure strain the delicate structures that make up the horse’s legs, whether it’s from landing from a three-foot jump, driving through a sliding stop or navigating around a difficult trail course. Proper leg wrapping can help protect his legs, thus protecting your investment. Wrapping your horse’s legs provides support for tendons and ligaments during exercise, as well as protection from concussion and impact. You can wrap your horse’s legs after a strenuous training session to help prevent or reduce swelling. During transportation, it’s vital to provide extra cushioning and support by using shipping wraps or boots. “You can wrap a horse’s leg any number of ways,” says Dr. Adam Cayot, a veterinarian with Peterson & Smith Equine Hospital in Ocala, Florida. 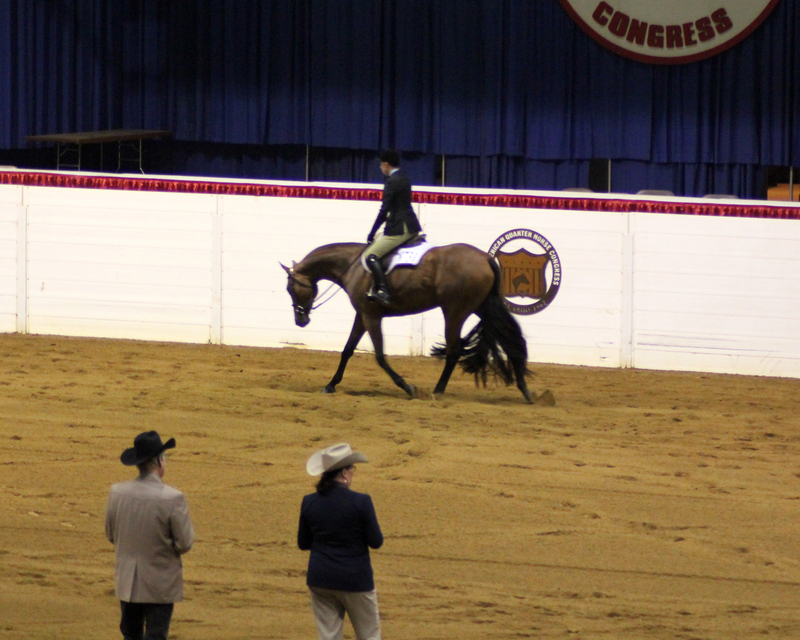 I’ve been meaning to share a few photos I took while I was covering events at the All American Quarter Horse Congress for the American Quarter Horse Journal. 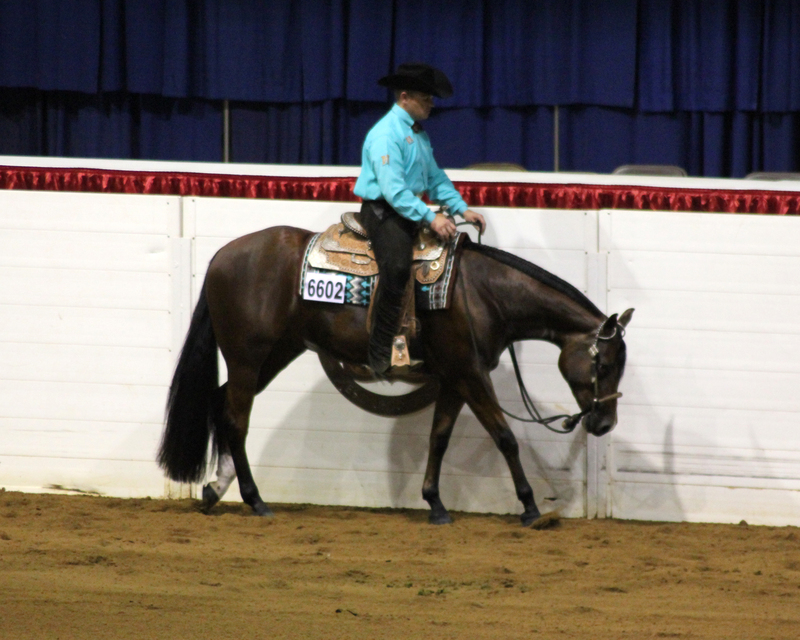 I picked a fun day to go, as it definitely showed the versatility of the Quarter Horse–from hunter under saddle, to pole bending, Western pleasure, and barrel racing. 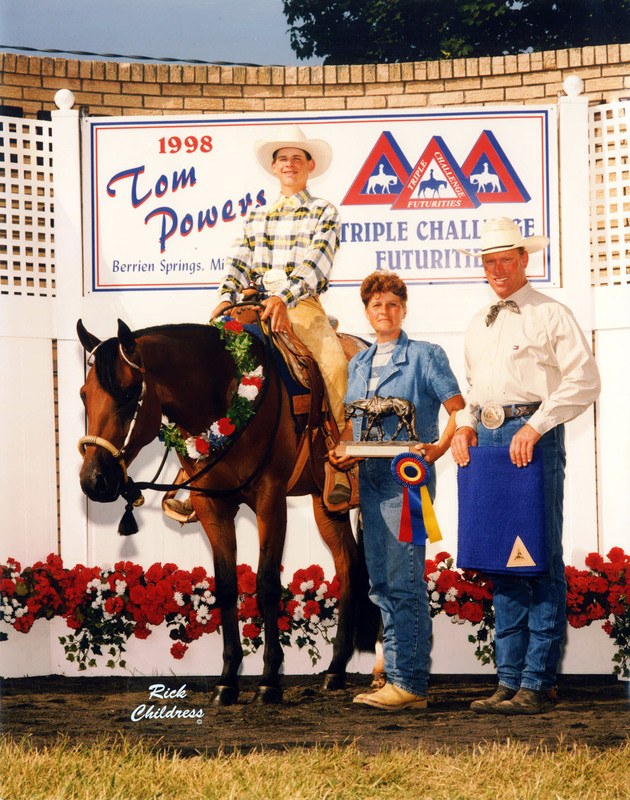 When you’re watching greatness like Peyton Manning last night (yes, I am a Colts fan, but also a Manning fan), or even some of the top horses competing at the All American Quarter Horse Congress this month, it’s hard to imagine that at one point, everyone had to start somewhere. Peyton had to start in the pee-wee football leagues. Harley D Zip had to start out with a trainer to figure out the right buttons. Allocate Your Assets When Brian Isbell and partner Kevin Garcia first saw Allocate Your Assets as a long yearling in 2001, it was all they could do to keep calm—they knew he was going to be something. “I knew right then and there, he was going to be my once-in-a-lifetime horse,” recalls multiple World Champion trainer, Isbell. RPL My Te Cheerful RPL My Te Cheerful’s first show wasn’t until late into his two year-old year with Monte Horn. His breeder, Bobbie and Henry Atkinson, felt that the late-blooming son of My Te Telusive needed some time to just grow and be a horse, so he spent many days out to pasture, with some light work here and there with the Atkinson’s farm manager, Michael Ochetto. **Originally published during my internship with the American Quarter Horse Journal in 2006. Corneal ulcers can do more damage than you think. One fall morning, my American Quarter Horse mare, Skips Satin Lark (aka “Lark”), didn’t seem to have the same bright eyes that she normally had. I also noticed significant tearing from her left eye. Thinking she just had something in it, I flushed her eye with artificial tears and applied a warm compress. Later that day, it was still bothering her, so I took her to our veterinarian, who diagnosed her with a simple scratch in her eye and gave me some ointment to put in her eye three times a day. A week later, her eye wasn’t healing, and it began to look cloudy, so once again I hauled her to the veterinarian. The diagnosis was that she was suffering from a corneal ulcer and needed to be treated by a veterinary ophthalmologist right away. After a two-hour haul to the University of Illinois at Urbana-Champaign Veterinary Teaching Hospital, she underwent extensive examinations and stains. If we had waited until the next day, she might have lost her eye. Before that night, I had never heard of a corneal ulcer, which is surprisingly common in horses. Corneal ulcers stem from any trauma that occurs in the eye. In Lark’s case, a simple scratch became infected with a fungus. Trauma can be anything from scratches from hay or dust or running into a fence post. Other causes of corneal ulcers include parasites, viruses, eyelashes irritating the eye or lack of tear production. The simplest signs of tearing, squinting and sensitivity to bright light are key to knowing something is wrong with your horse’s eye. When I went to the University of Illinois at Urbana-Champaign, Dr. Erica Tolar was a second-year resident in ophthalmology there, and she saw many patients like Lark with eye problems, including corneal ulcers. Dr. Tolar says a horse owner who sees any of those symptoms needs to contact his or her local veterinarian for a specific diagnosis immediately. Key factors in diagnosing a corneal ulcer are time and the right medications. Steroids should never be used, because they prevent the body from mounting a good immune response and allow infectious organisms to multiply, which will hinder healing. Dr. Tolar’s initial examination is a lengthy, meticulous procedure. To make the exam easier, Dr. Tolar injects a small amount of local anesthetic over a nerve that controls the function of the upper eyelid. Once that has taken effect, the entire eye is assessed with a diffuse light. If an ulcer is suspected, Dr. Tolar takes a culture to determine which bacteria or fungus might be causing the problem. To get a better look at the ulcer, a fluorescein stain is applied, and a hand-held microscope is used to determine the depth of the ulcer. Dr. Tolar says that even if a horse is started on medical therapy, he might still need surgery, because the eye can still deteriorate while being treated. Each treatment plan depends on the depth of the ulcer, amount of the cornea affected and how much the owner is able or willing to spend. On one extreme, the ulcer can be superficial and not complicated by any fungus or bacteria. This treatment plan can be just medical therapy and involve topical antibiotics three to four times daily. The other extreme for medical therapy can involve hospitalization, a tube placed under the upper eyelid to facilitate frequent treatment (subpalpebral lavage tube), topical antibiotic therapy every one to two hours including one to two antibiotics, atropine, topical autogenous serum (which is made by drawing the patient’s blood and drawing off the serum that is used to coat the eye) and anti-fungal therapy. With a quick diagnosis and intensive care, we were able to save Lark’s eye, and her sight. If the horse is being cared for at home, you can help make him comfortable by keeping him in a darkened stall and limiting exercise. Using a mask like a fly mask or one provided by your veterinarian should protect the eye. Also, it’s recommended that hay be fed from the ground to prevent further damage. Full recovery may take weeks or months, depending on the severity of the ulcer. Owners will notice red blood vessels in the cornea surrounding a healing ulcer. This is a good sign that the cornea is starting to heal. A big concern for all parties involved is how much vision is lost due to the ulcer. Unfortunately, there doesn’t seem to be a guaranteed way to prevent corneal ulcers from occurring in your horse. 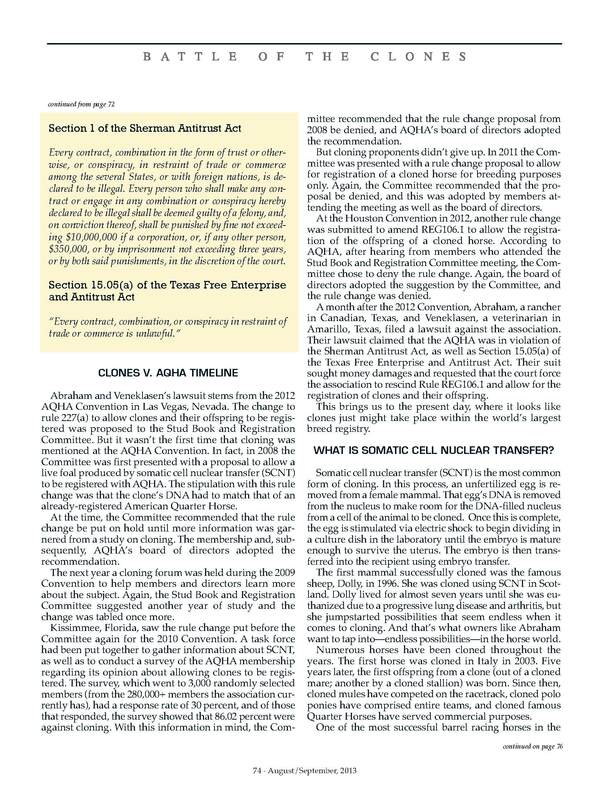 My first article for the Equine Chronicle was the cover the initial hearings for a cloning case that was brought again the American Quarter Horse Association last summer. The case, Abraham & Veneklasen Joint Venture vs. the American Quarter Horse Association, has not been put to bed, yet. 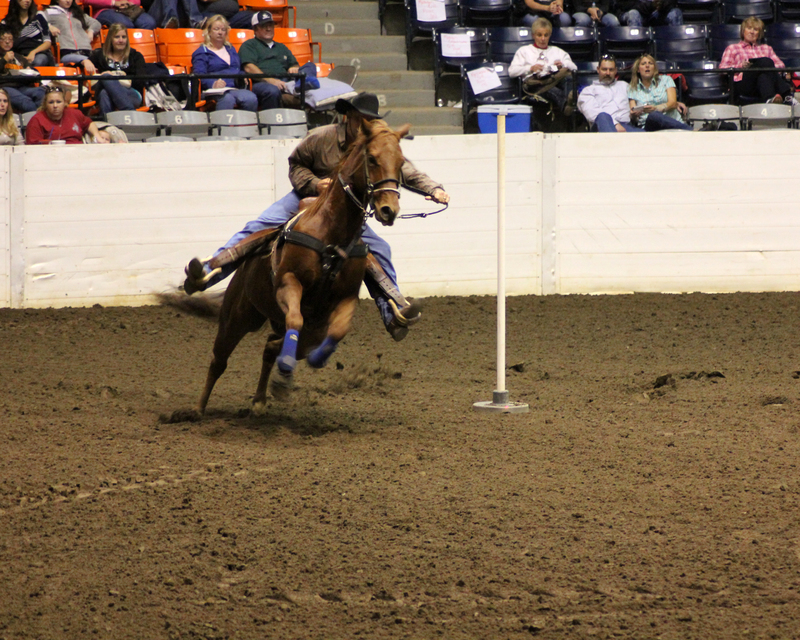 On March 24, 2014, the AQHA filed its reply brief with the U.S. Fifth Circuit Court of Appeals. You can see the entire timeline on AQHA’s site: Cloning Lawsuit Resources. 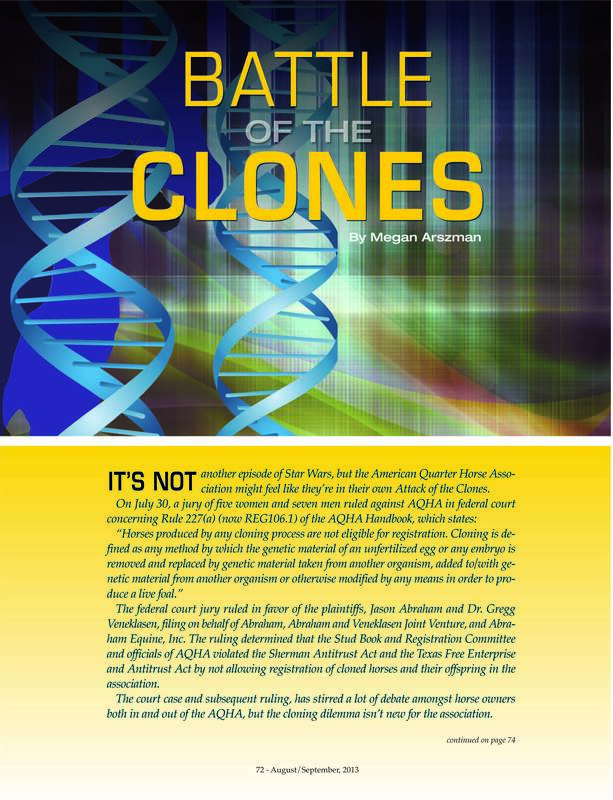 Instead of trying to cover an ongoing news story in a print publication, I chose a news feature type article and I was able to discuss a lot about cloning with industry professionals and members who maybe agreed or disagreed with the lawsuit itself.